On April 29th and April 30th American Ninja Warriors own super team, the Wolfpack will host its first public competition event at Magness Arena in Denver. According to Dr. Noah Kaufman the goal of this first event is to help show that the Ninja lifestyle is accessible to everyone. 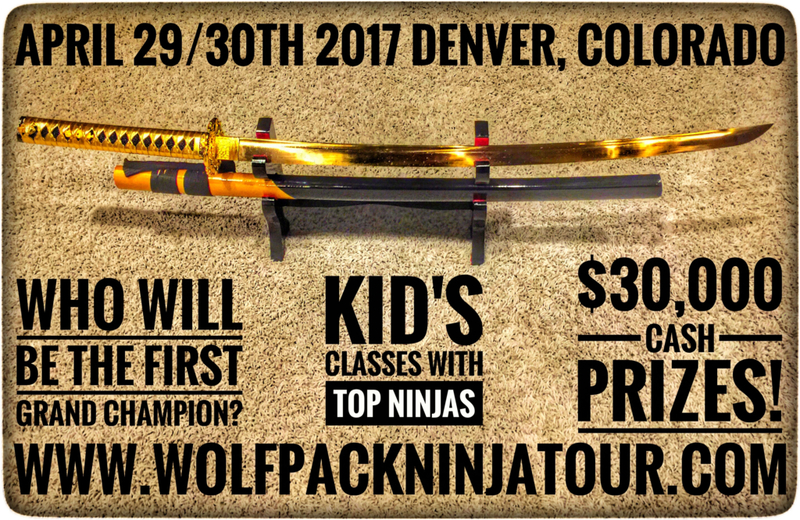 The Wolfpack Ninja Tour welcomes athletes from ages 4 and up to train, get active, and gain confidence through completing the Ninja obstacles and numerous activity stations. Amateur Ninjas with backgrounds in climbing, parkour, endurance sports, as well as athletes from more traditional sports, will have the chance to test themselves and qualify throughout the weekend for a spot in the Finals Competition where they will compete head-to-head for over $30,000 in cash prizes. 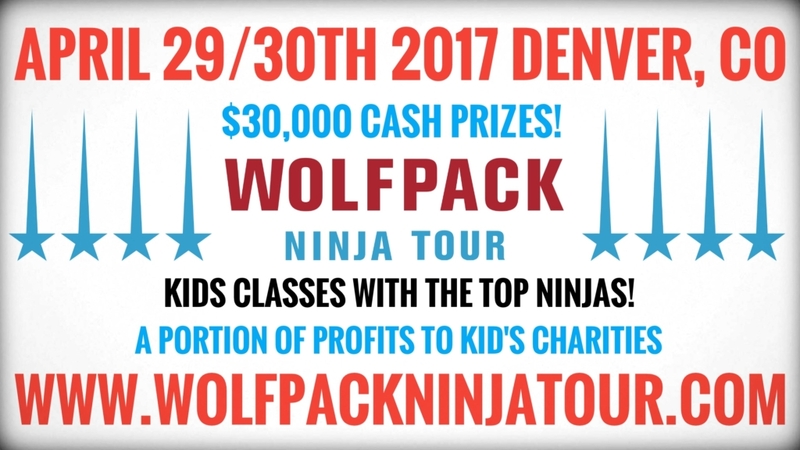 The event will also include two “college-night” sessions, on Saturday April 29th from 8pm-10pm and 10pm-12am, where the Wolfpack Ninja Tour invites students from across Colorado to come take their best shot at qualifying for the Finals Competition. A portion of the proceeds from the tour will be donated to charity. For fans of the show, the tour will feature a whose-who of Ninja's The “First American Ninja Warrior”, Geoff Britten & Stuntwoman Superstar Jessie Graff are captains and representatives of the Wolfpack Ninja Tour. The Pro-Team is joined by team-mates Flip Rodriquez, Weatherman Joe Moravsky, Parkour Master Jesse La Flair, Nicholas Coolridge, Travis Brewer, Jennifer Tavernier, JJ Woods, Veteran hero Ryan Stratis, She Wolf Meagan Martin, Brian Arnold, Wolf Pup Ian Dory and the Ninjadoc Noah Kaufman, MD—the rest of the Wolfpack Ninjas. Mud Run Guide is excited to be working with the Wolfpack to bring exclusive content on the Tour. Look for more features in the coming weeks.